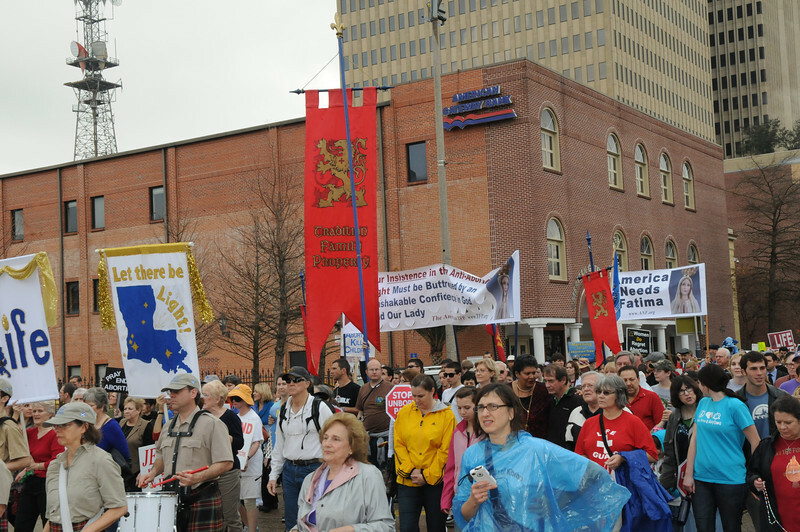 On January 21, 2012, TFP-Louisiana was once again pleased to join pro-lifers at Louisiana’s Life March. 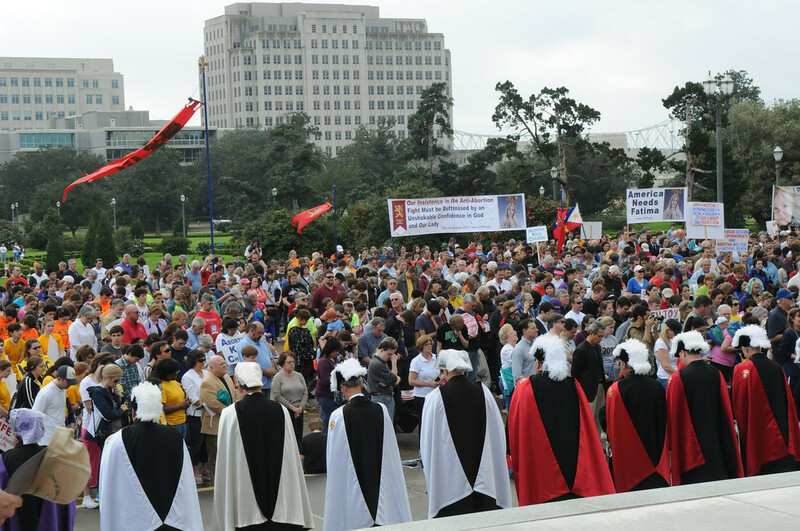 Starting at 9 a.m., the rally gathered at the historic old capitol building of Baton Rouge and processed about a mile to the current state capitol building at 10 a.m. 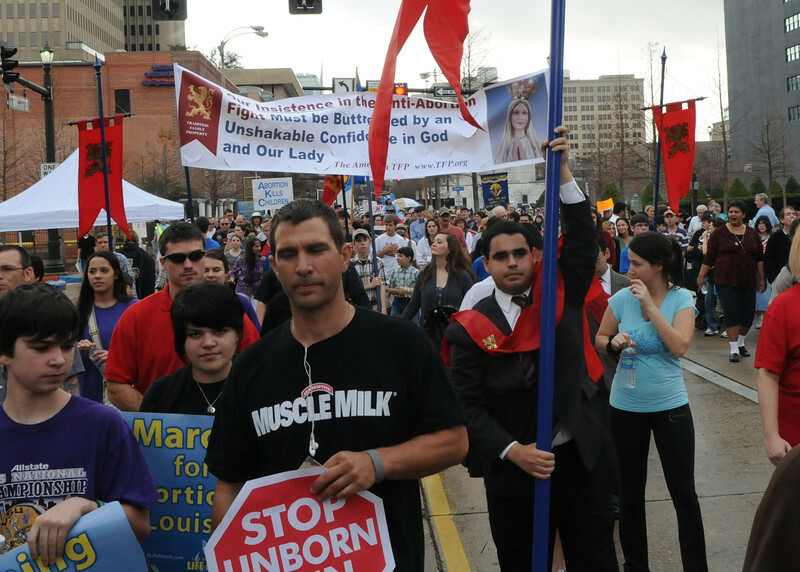 In the days leading up to the march, TFP members went to Louisiana State University to distribute a flier inviting the students to the march and giving five convincing arguments against abortion. 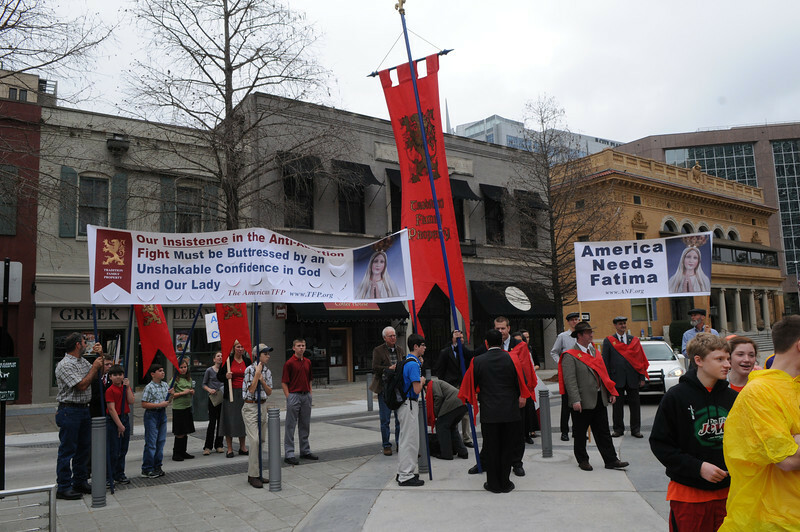 Most of the students had not heard about the rally but upon seeing the TFP members waving flier and hearing them say “Save human life: don’t miss Saturday’s march!”, students quickly approached to learn about the event. To the students who said they could not attend the march, the members asked, “If it was an LSU football game, would you come?” In Louisiana, football is king, so all the students responded in the affirmative, to which the members asked, “Isn’t human life much more important than football?” On the day of the march, some of those students helped carry the America Needs Fatima banner and the tall red TFP standard.